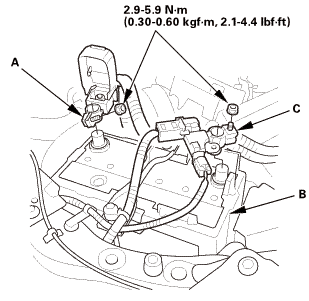 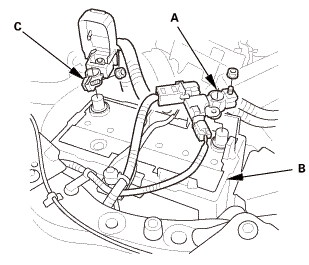 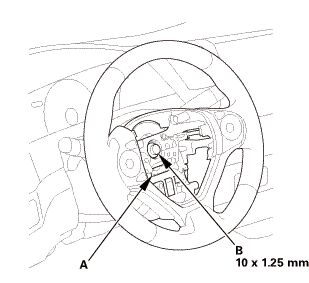 Disconnect cable reel connector A and B on the dashboard wire harness, and the steering angle sensor connector (C). 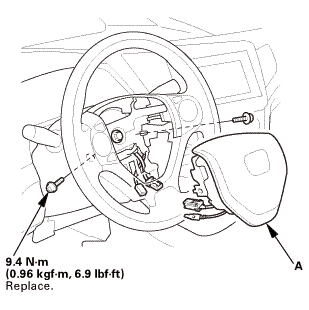 Remove the cable reel/steering angle sensor (A). 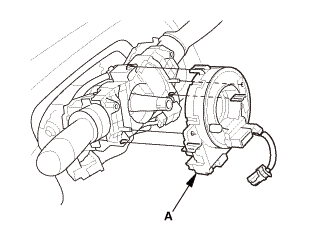 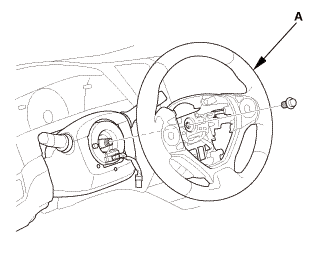 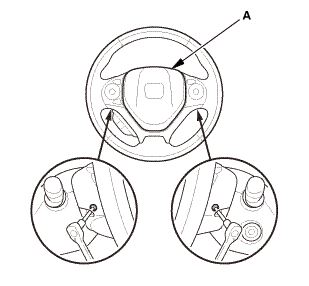 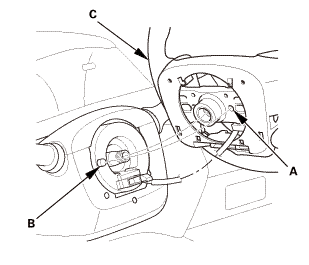 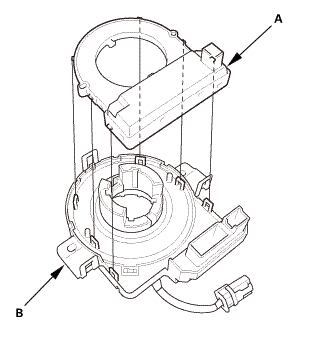 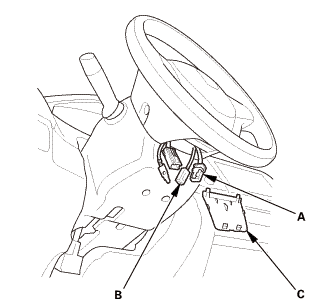 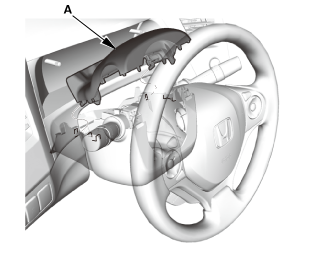 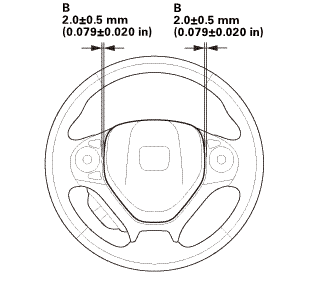 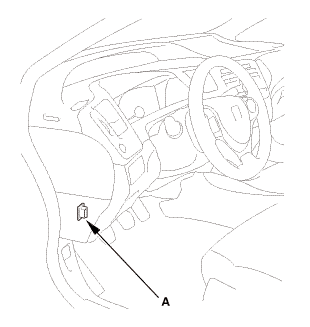 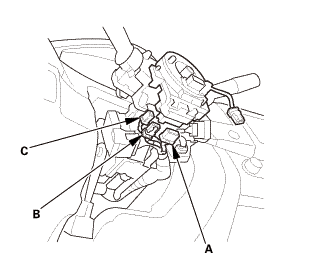 Remove the steering angle sensor (A) from the cable reel (B). 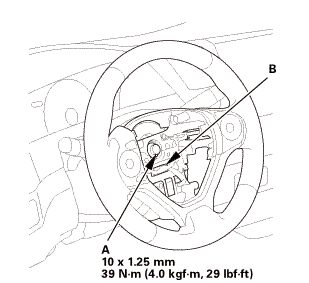 Install the steering angle sensor (A) to the cable reel (B). 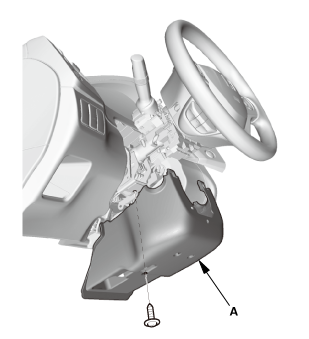 Install the cable reel/steering angle sensor (A). 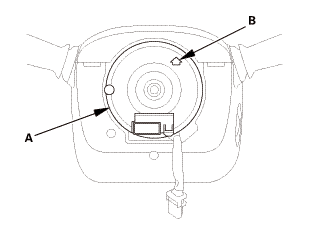 Connect cable reel connector A and B on the dashboard wire harness, and the steering angle sensor connector (C). 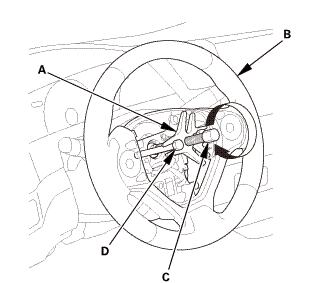 Check the steering wheel spoke angle. 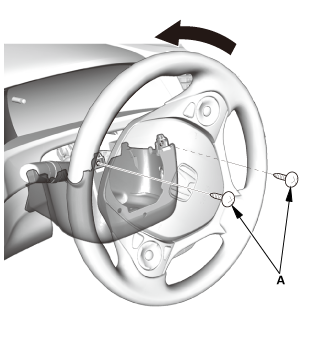 If steering spoke angles to the right and left are not equal (steering wheel is not centered), correct the engagement of the wheel/column shaft splines.